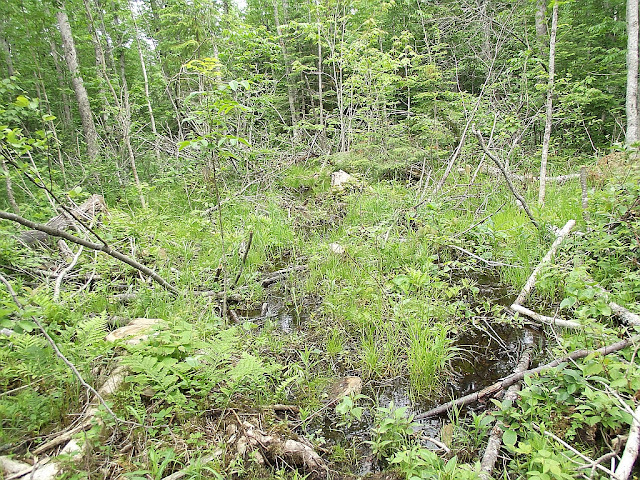 It commonly occurs in deep cold swamps, river banks and shores, tolerating some standing water. The fall foliage is yellow. Black Ash is one of the first trees to lose its leaves in the fall. 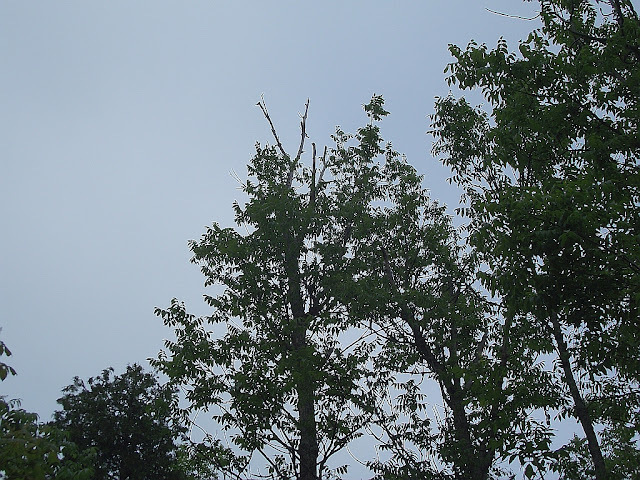 Because of the tops often look dead in winter some folks assume the tree is dead when in fact it isn't. 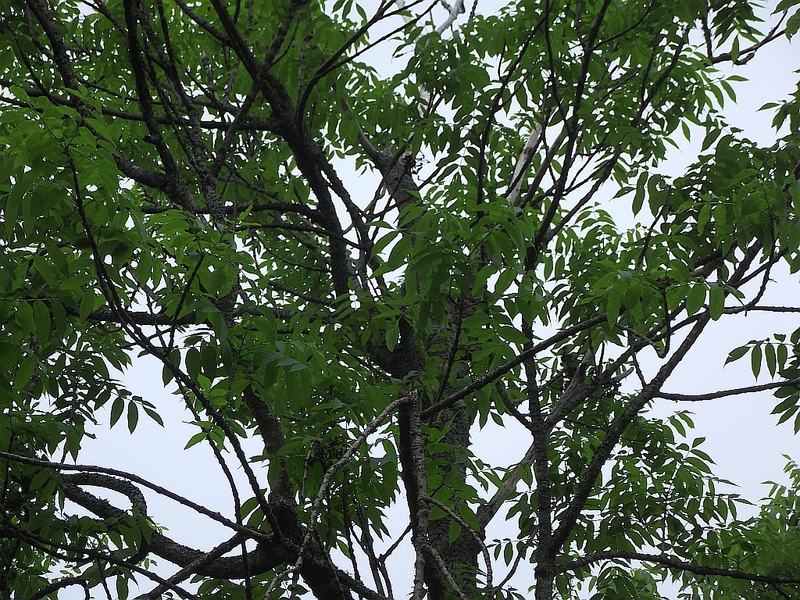 As you can see in this image the top appears dead but the tree is thriving. I've got several stands of these, all of which are thriving in standing water, when they say these trees like cold swamps they are not kidding. This is a rather amazing tree. I actually prefer this tree for weaving purposes. 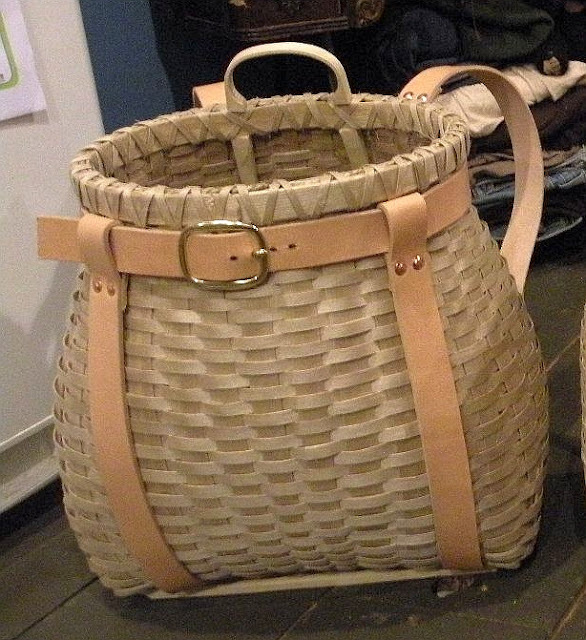 While the Paper Birch is very nice for making vessels whole, and some weaving, the Black Ash is actually easier to use for strip weaving of baskets. 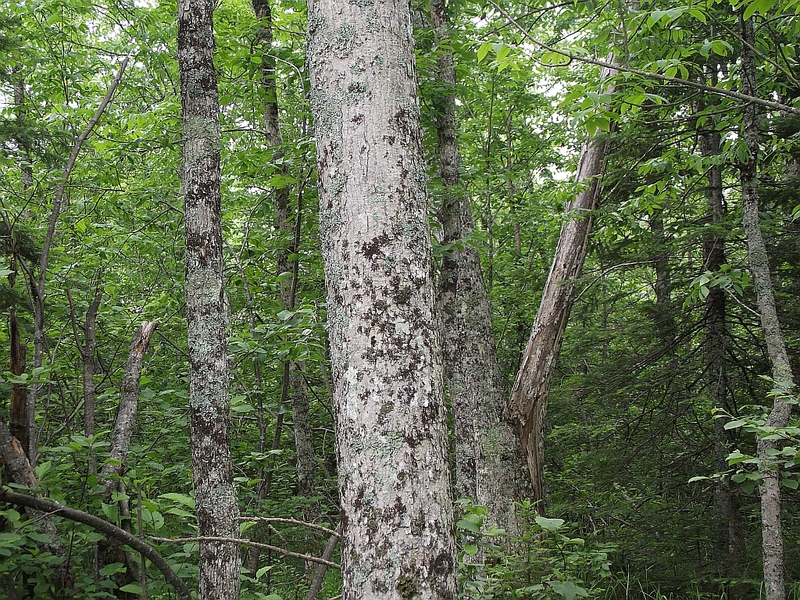 The Abnaki, Ojibwa, Malecite, Meskwaki, and other cultural groups use the bark to make baskets. 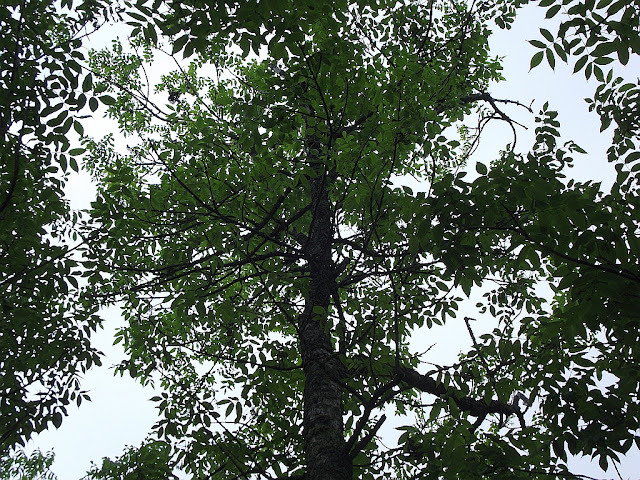 Black ash is unique among all trees in North America in that it does not have fibers connecting the growth rings to each other. 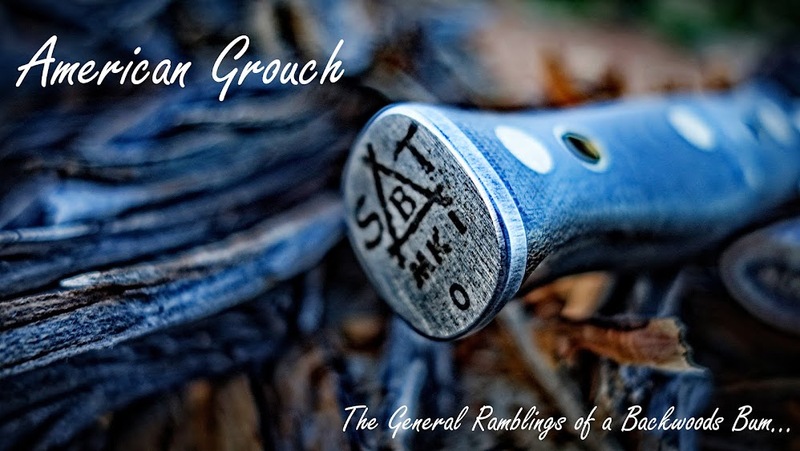 This is great for basket makers. Temperate trees form annual growth rings of two types of wood. 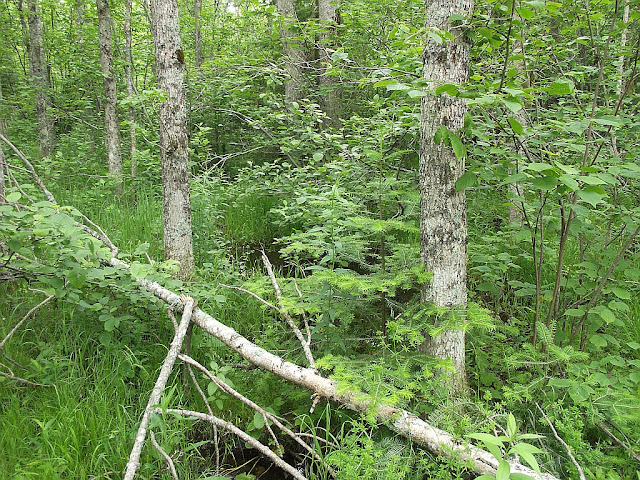 Spring wood is rapidly laid down early in the growing season and is weak. Summer wood is laid down slowly in the summer and fall, and is much darker and tougher. By literally pounding on the wood with a mallet, the spring wood is crushed, allowing the summer wood to be peeled off in long strips. 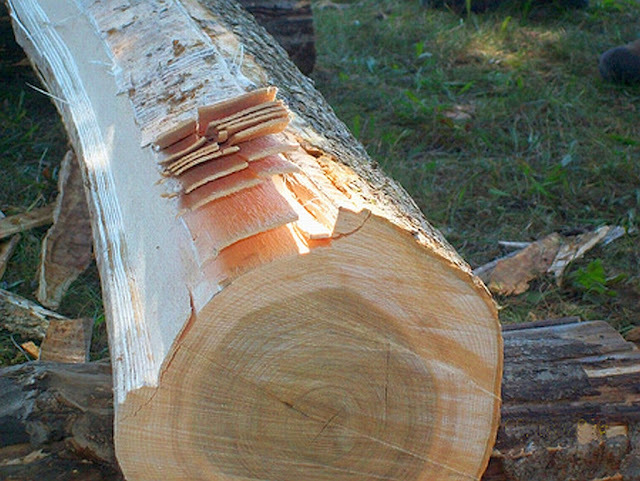 The absence of the connecting fibers is what allows the summer wood strips to separate. It is these long strips that are trimmed and cleaned and then used in basket weaving. 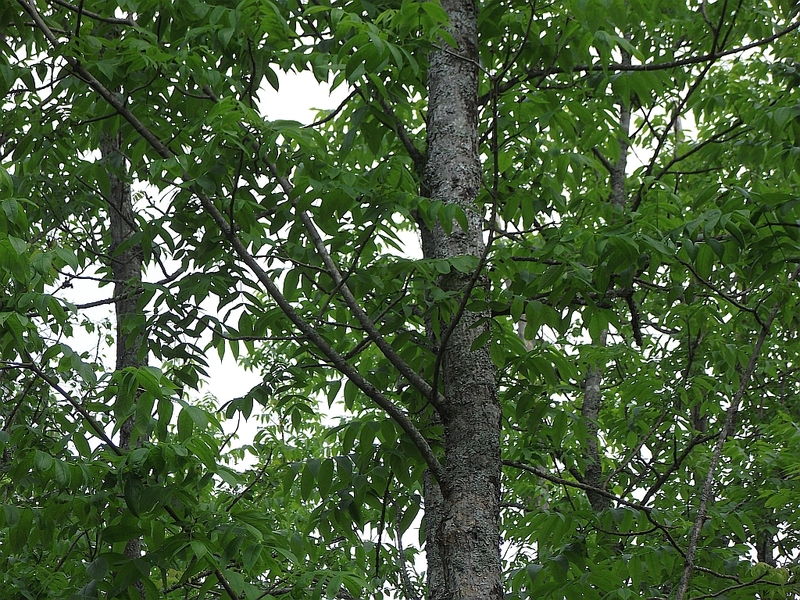 The inner bark of the black ash was used to make a bark barrel by the Iroquois which was used for storing dried vegetables, fruits, and seeds, as well as clothing. The tree traditionally was a valuable medicine to many tribes in Eastern North America and the Great Lakes region. The Iroquois steeped the bark of the tree together with the roots and bark of other plants to treat rheumatism. The Menomini used the inner bark of the trunk as a valuable medicine and as a seasoner for other medicines. The Meskwaki made a tea from a mixture of the wood with the root of Smilacina racemosa to loosen the bowels. 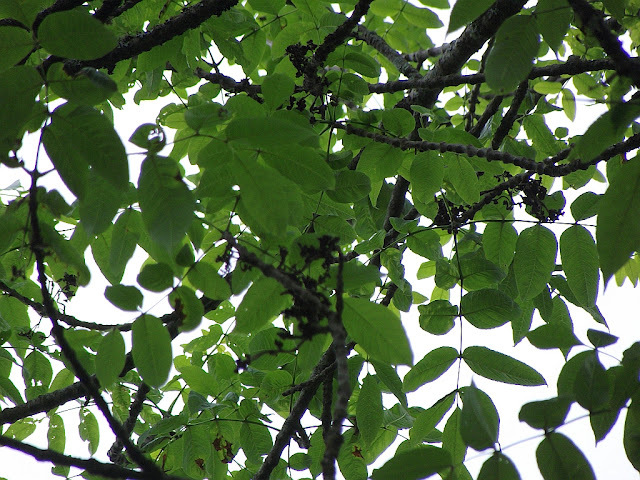 They also used the inner bark of the trunk as a remedy for any internal ailments. 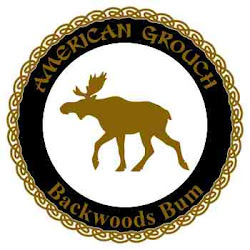 The wood of black ash is strongly ring-porous, making it ideal for barrel hoops, snowshoe frames, canoe ribs, and material for woven chair seats.